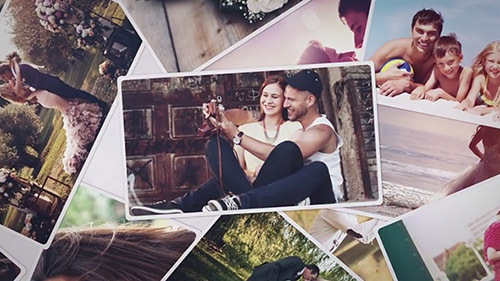 Long and Slow Multi Photo Slideshow is a dynamic After Effects template with a gorgeous design, soft light leaks, simple text animations and smooth transitioning effects. This template contains 30 image/video placeholders, 1 editable text layer and 1 logo placeholder. It’s child’s play to use and ideal for AE beginners. A beautiful way to show off your wedding, anniversaries, travelling, vacations, holidays, sports, fashion, wildlife, nature, friends and family photos. Impress your audience with this uplifting and elegantly animated slideshow. Available in HD.